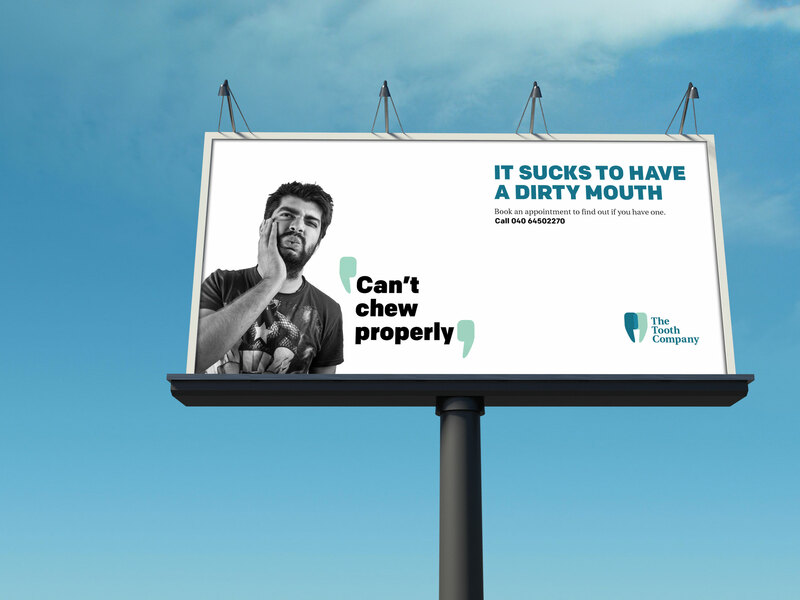 This project was done during my tenure at NH1 Design, Gurgaon (www.nh1design.com). 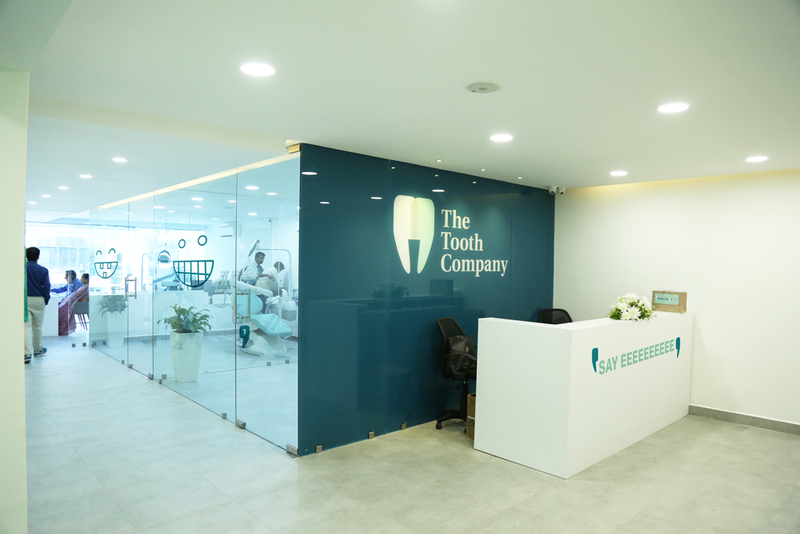 The Tooth Company is a multi-speciality dental care centre in Hyderabad, founded by Dr Shailee Swarup and Saumil, that follows the ‘Let's Talk’ philosophy. 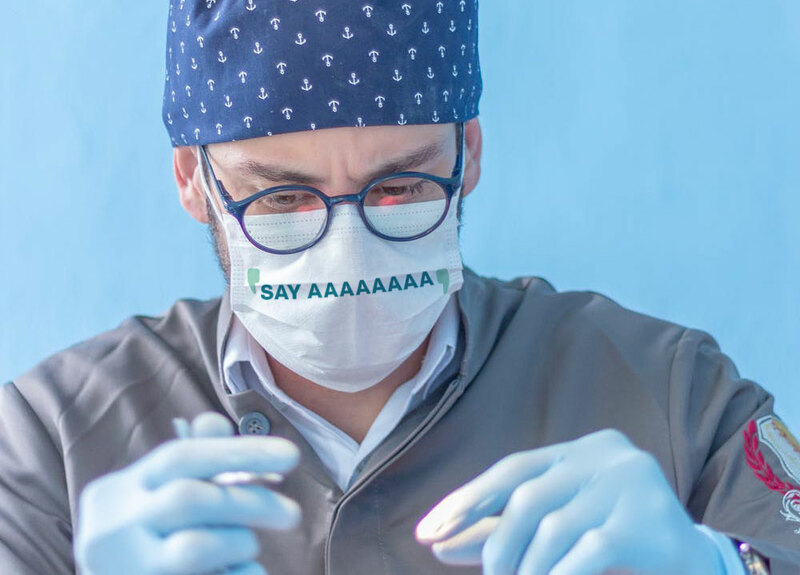 Communication plays a vital role in reducing dental anxiety. 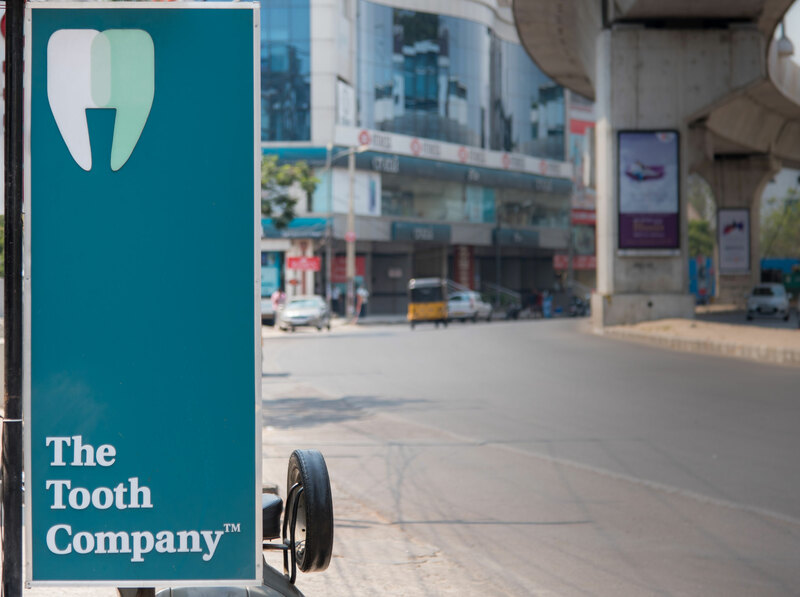 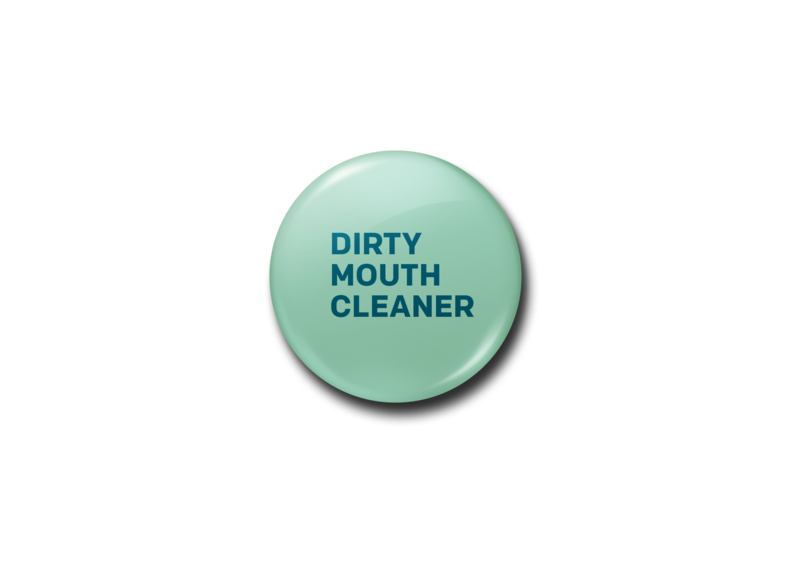 Inspired by the brand's philosophy, our brand identity is composed of quotation marks that form the shape of a tooth. 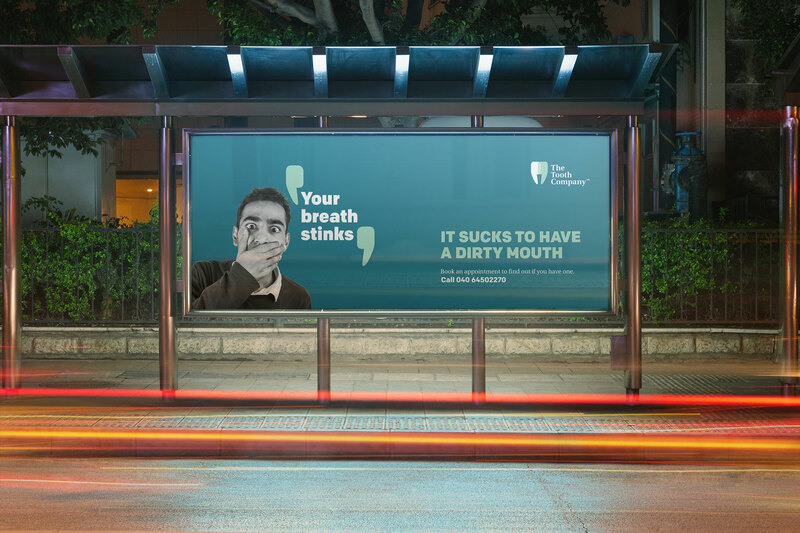 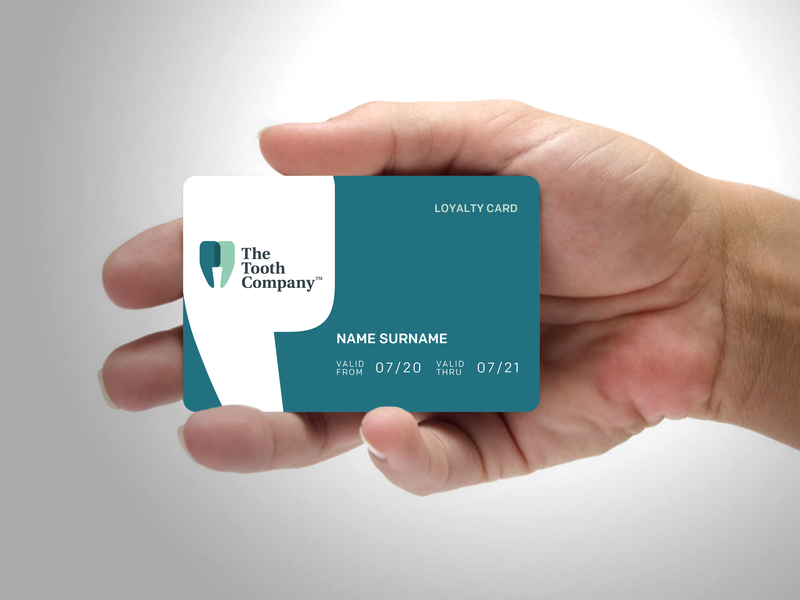 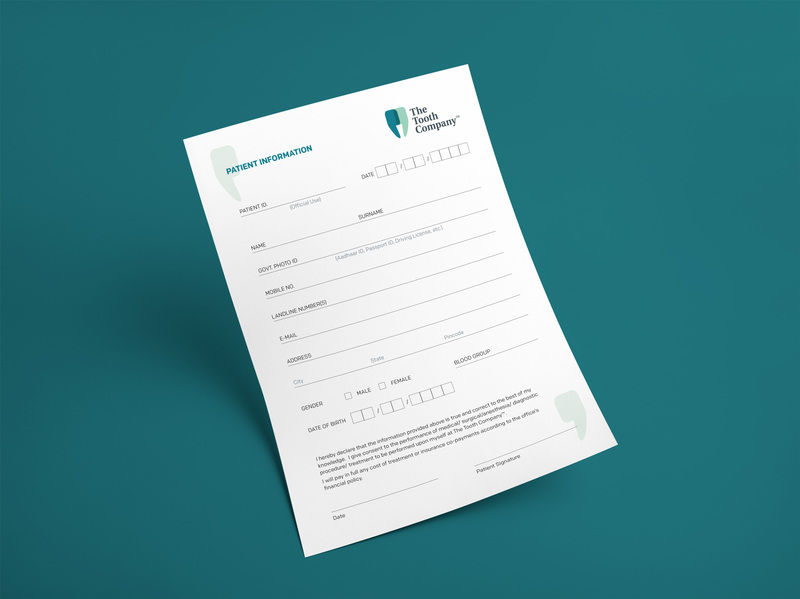 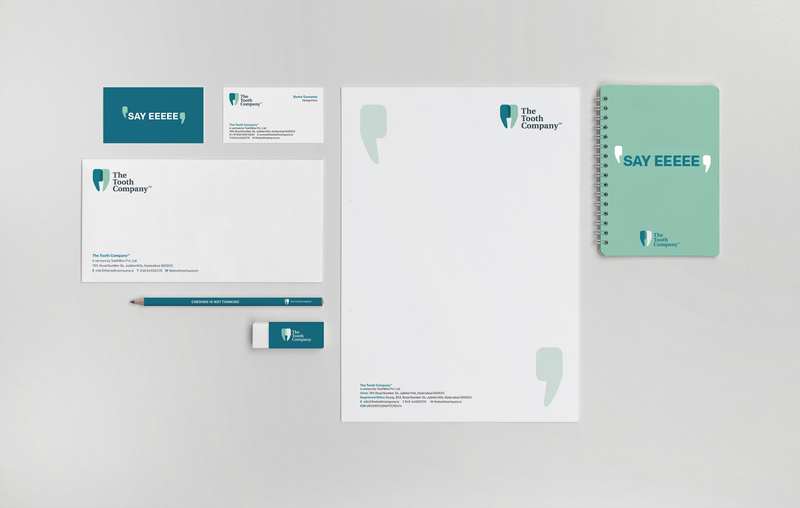 we wanted to create a brand that reassured people. 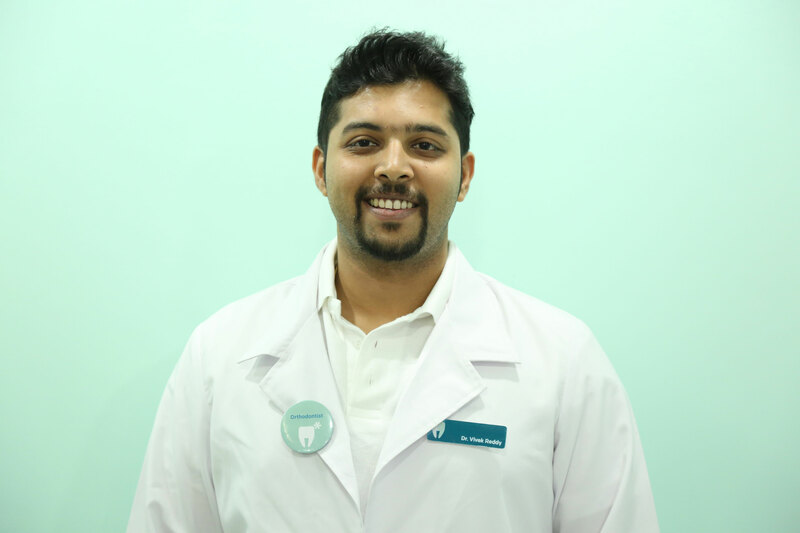 Dr Shailee Swarup and Saumil, that follows the ‘Let's Talk’ philosophy. 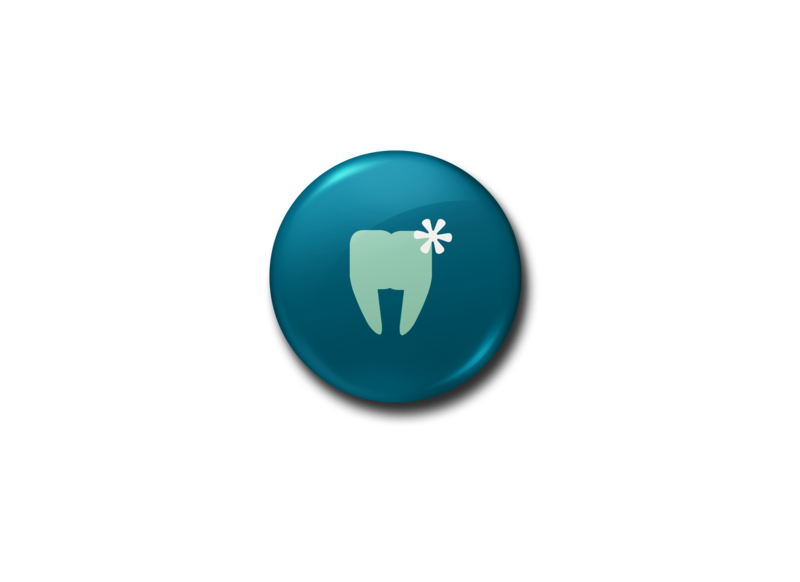 Communication plays a vital role in reducing dental anxiety. 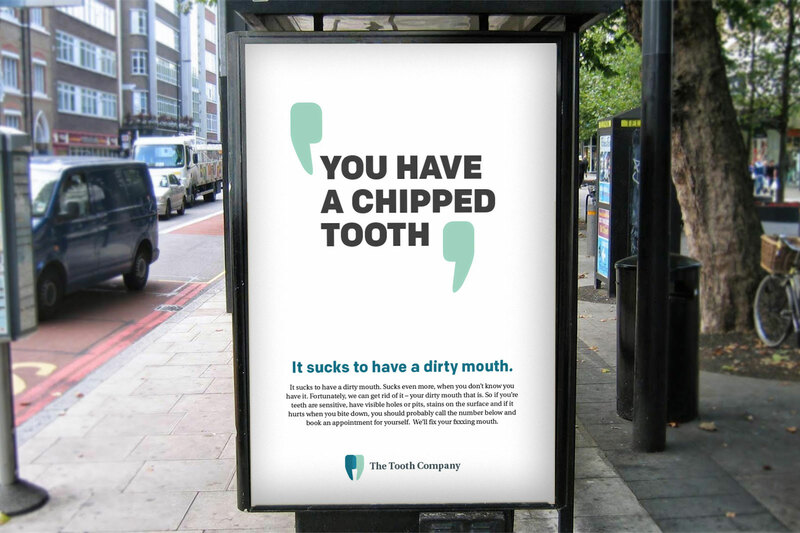 Inspired by the brand's philosophy, our brand identity is composed of quotation marks that form the shape of a tooth. 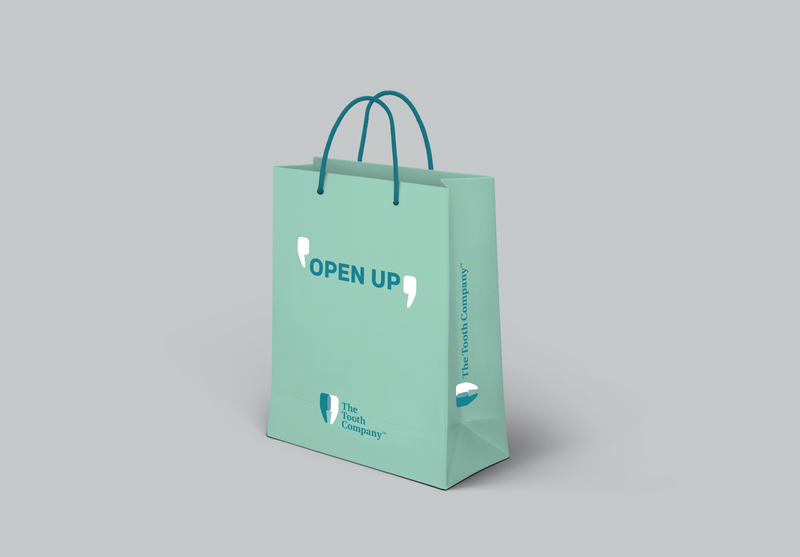 We created faces as a design element to showcase the services we offered. 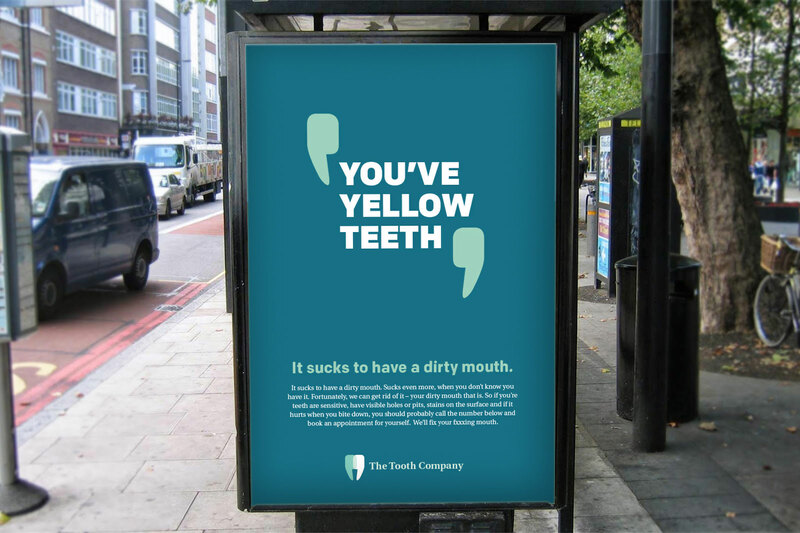 And our design language comforted people instead of threatening them. 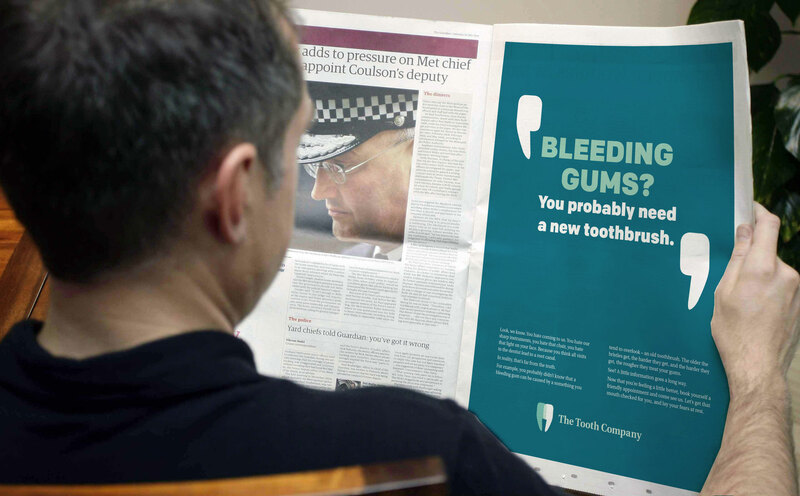 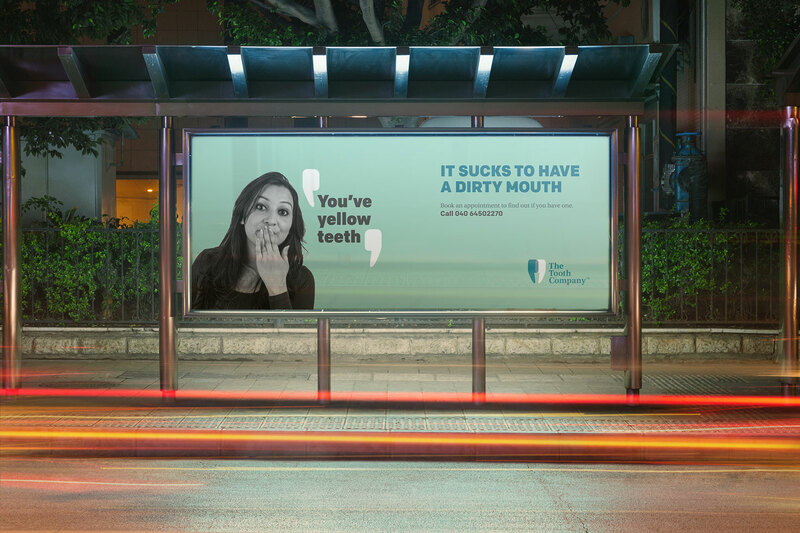 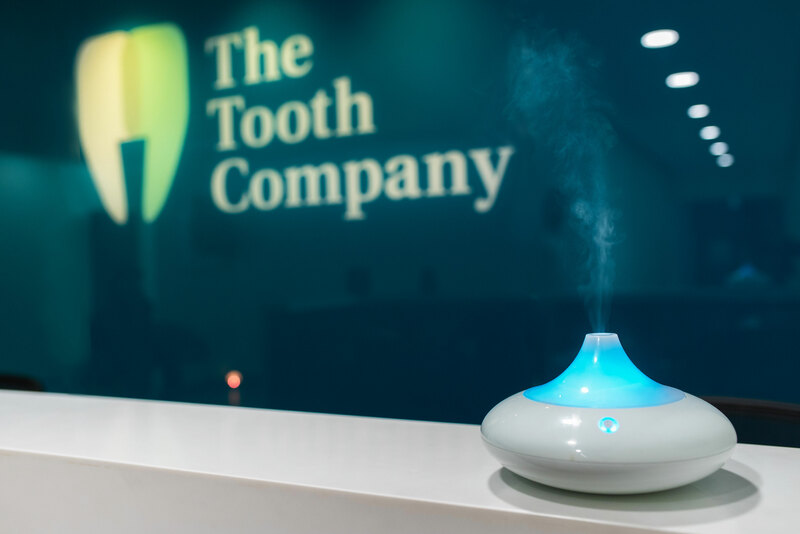 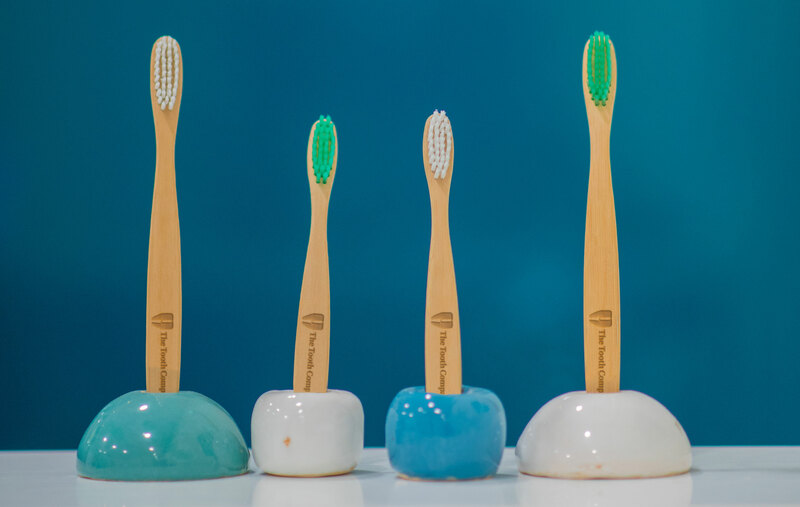 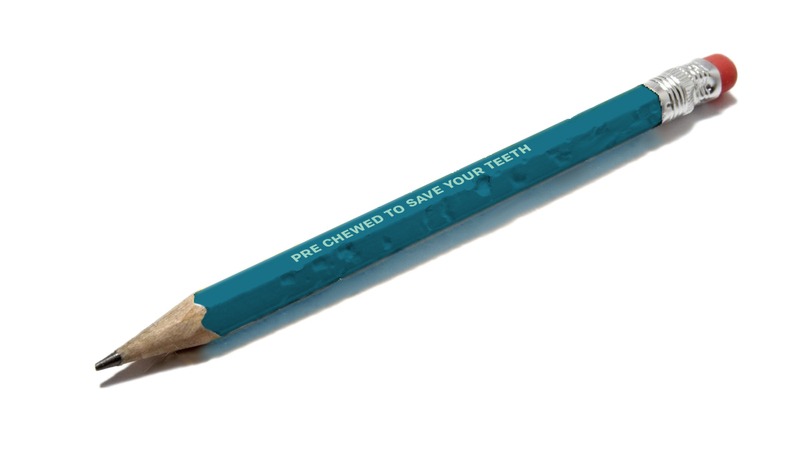 The Tooth Company aims to reduce patient anxieties through experience design. 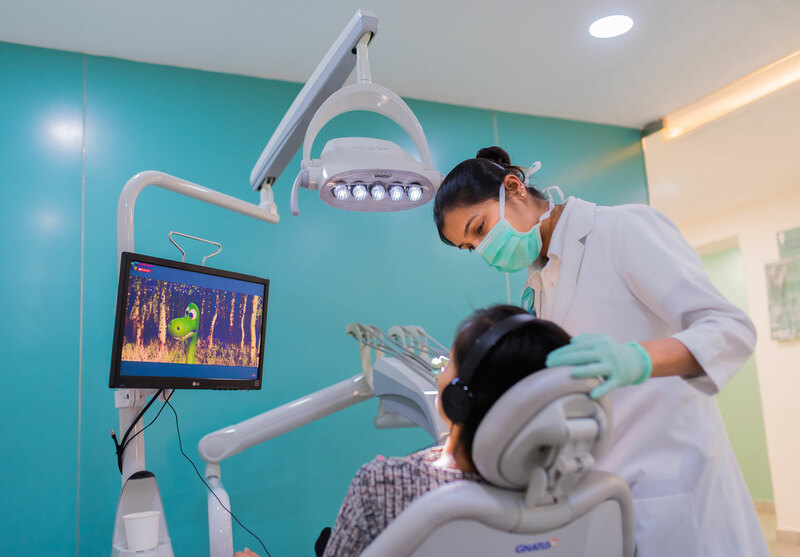 The minimalist design is combined with the freshness of the greens, purified air, suspended natural aroma, calming music, carefully chosen colours as well as noise cancellation headphones and eye masks to relax during the treatment.